If you sell products such as wine, cigarettes, or dangerous goods, you might want to verify the age of visitors who browse your Joomla! website. 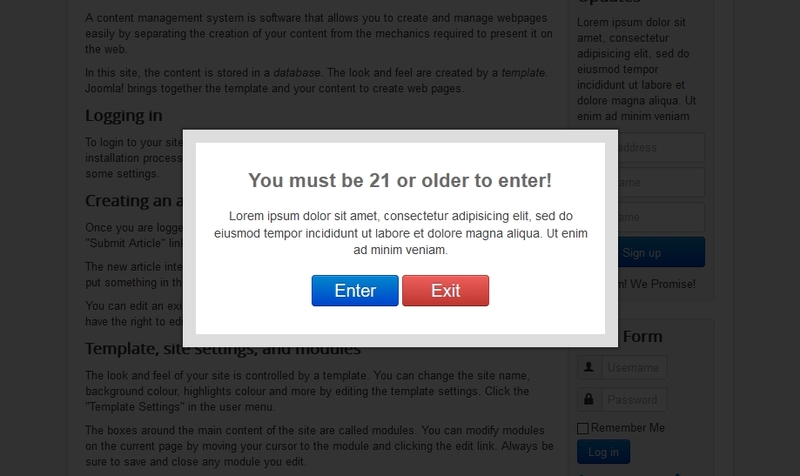 You can do this by creating a Cookie Based Age Verification Popup using Responsive Scroll Triggered Box for Joomla!. Keep in mind that age verification is not the best way to prevent visitors from browsing your website, as there's nothing preventing them from lying about their age. 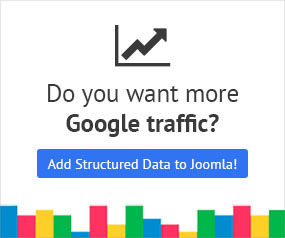 It might even be a nuisance to regular visitors, who will have to make an additional click to access your website.